Everyone wants big these days. Millionaire isn’t good enough. You have to be a billionaire. Well-known is not a goal. You have to be a superstar. Quiet accomplishment is not enough. Everyone has to know about it. Everything has to be grandiose these days. But if you base your happiness on grandiosity, you’re likely to be unhappy at work. Everyone tells you to think big —but that’s bad advice when it comes to happiness. Big accomplishments lead to big joys, right? Maybe. But they happen relatively rarely, so you are spending months, maybe years of unhappiness for a quick shot of joy. Look at all the impediments you have in a particular day: unlimited emails, phone calls, unexpected demands, broken equipment, missing information, etc. Laugh at it all and realize that it’s a miracle that you accomplished what you did. Never compare yourself to others and what they did. Others live their lives under different parameters, different constraints, and different abilities. You simply will never know why some people accomplish big things, and unless you do, you really cannot judge why you do not accomplish the same things. Enjoy what you are doing and stop thinking about the big outcomes. One person complained that she was not accomplishing her goal of being a singer and this made her terribly unhappy. What she failed to see was the joy she felt when she wrote songs and played at the local bar. What she failed to see was the joy she felt when she played with local musicians. Focusing on the big outcomes was making her miserable. Yesterday is over. Stop thinking about what did not happen. Stop thinking about the big things that should have happened. Focus on today and the small accomplishments that you are about to witness. Think long term. Small things are seeds that often grow into bigger things. Giant trees start as germinating seeds. So, relax. Watch the small things grow. 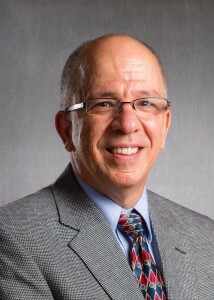 Robert A. Giacalone, Ph.D. is the Daniels Chair in Business Ethics at the University of Denver. He is a recognized expert on behavioral business ethics, exit interviewing and surveying, workplace spirituality, impression management, employee deviance, and the role of changing values in organizational life. His happiness blog, The Essence of Living, can be found at www.happinessisessential.com.